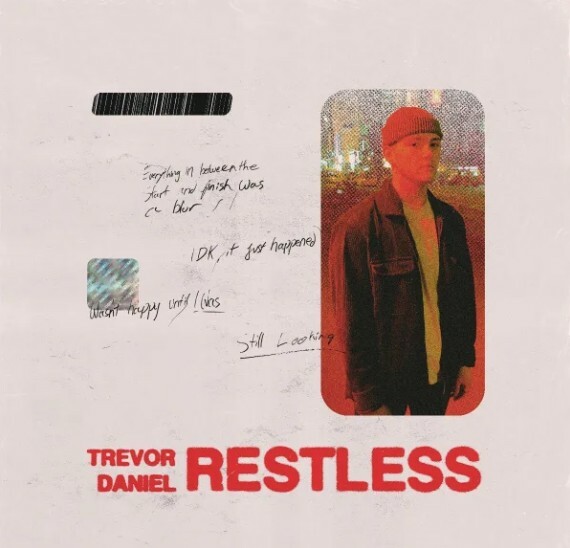 Houston native and rising superstar Trevor Daniel is back today with his latest EP titled Restless. Over the past few months, Trevor has released multiple records, visuals, and teasers as for what’s to come, but today he gave us some of his best work yet. Restless is by far my favorite release thus far, as Trevor takes listeners on a emotional rollercoaster into the depths of his talents and abilities. Starting with “Closure”, the passion in Trevor’s voice leaves fans in awe and wanting more. Then followed by “Paranoid”, “Come Over”, and “Empty”, the relatable lyrics and exceptionally clear imagery used by Trevor will be sure to grab any new listener’s undivided attention. To conclude Restless, “Body Bag” and “Go On” showcase Trevor’s natural ability to create an everlasting and easily recognizable melody, making these two songs very hard to forget. As the Internet Money artist continues to develop and climb towards the top, be sure to stream Restless below and follow him on Instagram and Twitter!